Health care professionals such as medical doctors, naturopaths, chiropractors and acupuncturists frequently call upon Daniel as an herbal consultant. He is the author of the best-selling book Liquid Herbal Drops in Everyday Use (over 120,000 books sold to date) and co-author of Breathe Free, a nutritional and herbal self-care book for the respiratory system. He has appeared on national network TV and radio. He was senior professor of Materia Medica at the North American College of Botanical Medicine until closure of the school in 2004. 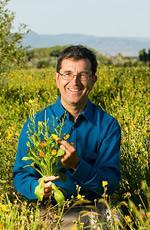 Daniel is the acting director of the Botanical Research and Education Institute in Santa Fe, which publishes educational material on herbal therapeutic.